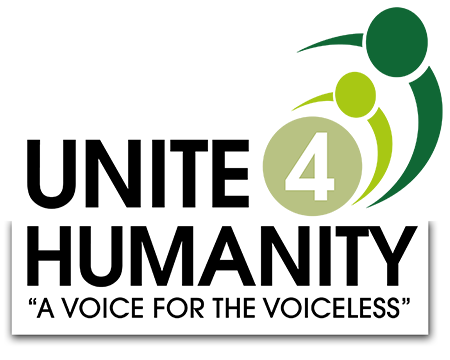 We (or ‘us’) means Unite 4 Humanity, a registered charity (1158152). Our registered address is 192 Park Road, Peterborough, PE1 2UF. Everyone has rights with regard to the way in which their personal data in handled. During our activities, we will collect, store and process personal data about our donors, customers, suppliers and other third parties, and we recognise that the correct and lawful treatment of this data will maintain confidence in the organisation and will provide for successful charitable and business operations. We collect personal information about you when you interact with us for example when you visit our website, register for Payroll Giving, when you set up a fundraising page on Sponsor Me or when you make a donation to an appeal or campaign managed by Unite 4 Humanity. Personal information we collect about you may include your name, postal address, email address, phone numbers, date of birth, NI number or payroll number. We do not collect “sensitive personal data” about you. We may also collect information about how our website is used and track which pages users visit. We use this information to monitor and improve our website. Where possible we use anonymous or aggregated data that does not identify individuals. See further information about cookies below. We will only use your information to enable your donation to reach your chosen charitable cause, so you may be contacted in the event of a specific query needed to resolve any issue with the processing of your donation. Unite 4 Humanity is committed to keeping your personal information safe and secure and we have security policies and technical measures in place to help protect your information. We will put in place procedures and technologies to maintain the security of all personal data from the point of collection to the point of destruction. Personal data will only be transferred to a data processing company if they are approved by us and agree to comply with these procedures and policies, or if they put in place adequate security measures. Your personal data is held on secure servers operated by agencies contracted by us. We do not transfer your data outside the EEA. We use these to improve our user’s experience of our website, temporarily store data and understand the parts of the website that users are visiting. A cookie will help us gather statistics on the use of our website anonymously. You can set your browser to not accept cookies, but this may affect the functionality of the website. The accuracy of your information is important to us. We’re working on ways to make it easier for you to review and correct the information that we hold about you. In the meantime, if you change email address, or any of the other information we hold is inaccurate or out of date, please email us at: info@u4h.org.uk. You have the right to request a copy of the information we hold about you; we reserve the right to charge a small fee (no more than £10) for information requests in order for us to cover our costs in providing you with details of the information we hold about you. If you are unhappy with our use of your personal data, you have the right to complain to the Information Commissioner’s Office. We would encourage you to contact us in the first instance so we can attempt to resolve any concerns. Any questions about the operation of this policy or any concerns that the policy has not been followed should be referred in the first instance at info@u4h.org.uk.